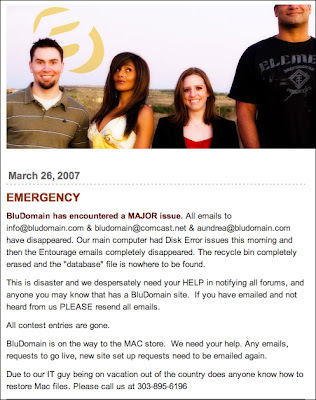 I was asked to repost this message about Bludomain so people knew what was happening. I hope not too many people were affected. Yikes! Good luck bludomain folks! I'm glad I'm not in this boat.